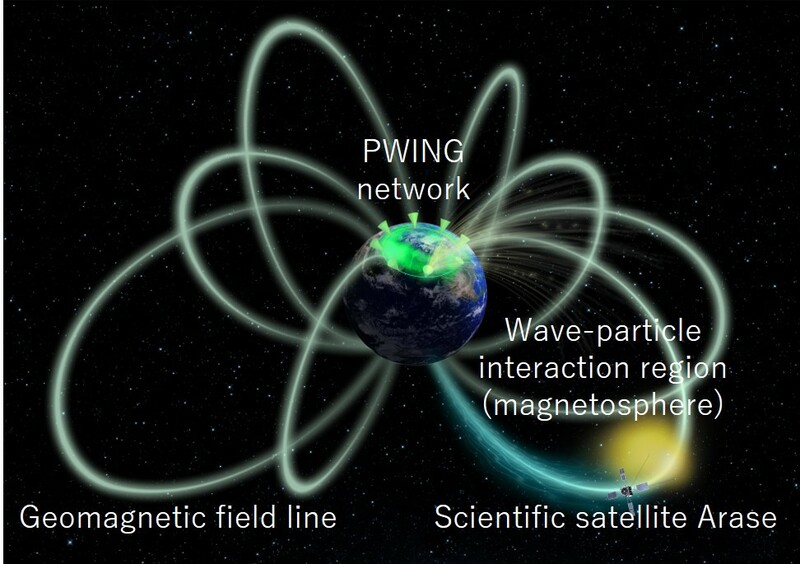 The researchers investigated wave-particle interactions between energetic electrons and chorus waves evolving in the space surrounding the Earth, using the scientific satellite Arase and, simultaneously, transient auroral flashes by the ground-based global observation network. The investigation visualized asymmetric spatial development of wave-particle interaction regions on the order of sub-seconds. 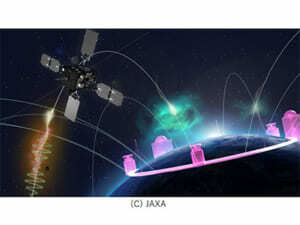 This is expected to contribute to the safe and secure exploration of space, e.g., by establishing hazard maps of the space electromagnetic environment. JSPS KAKENHI (15H05747, 15H05815, 16H06286, 16H04056, 17H06140, and 17K06456) and Kanazawa University Sakigake project.